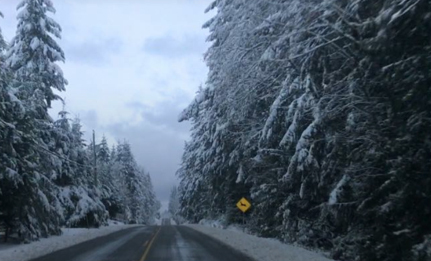 A snowfall warning is in effect for East Vancouver Island. It’s been canceled for the lower Sunshine Coast. Areas away from the water and over higher terrain will see the highest accumulations of snow with amounts near 10 centimetres by tomorrow (Sat) morning. Areas near the water may see upwards of five centimetres of snow. Near Nanaimo, heavy flurries may develop this evening resulting in snowfall accumulations of 10 centimeters or more in a short period of time. Environment Canada says snowfall accumulations may be highly variable throughout this afternoon and tonight. The snow should taper off tomorrow (Sat) morning.